The holiday period is over and things have now settling down at work and home and so I finally have the energy to do some blog posts! During December and early January I received a few more fury friends. First up is the adorable Pororon a cute elephant from Amuse. The only thing that is not totally lovable about him is the silly apply sown onto his head (but that is easily remedied). You will also see a little Baby Woolly with him. A bit later on I received yet more friends! A cute little fat cat and Poppy the pig who was a Christmas gift for my mother. 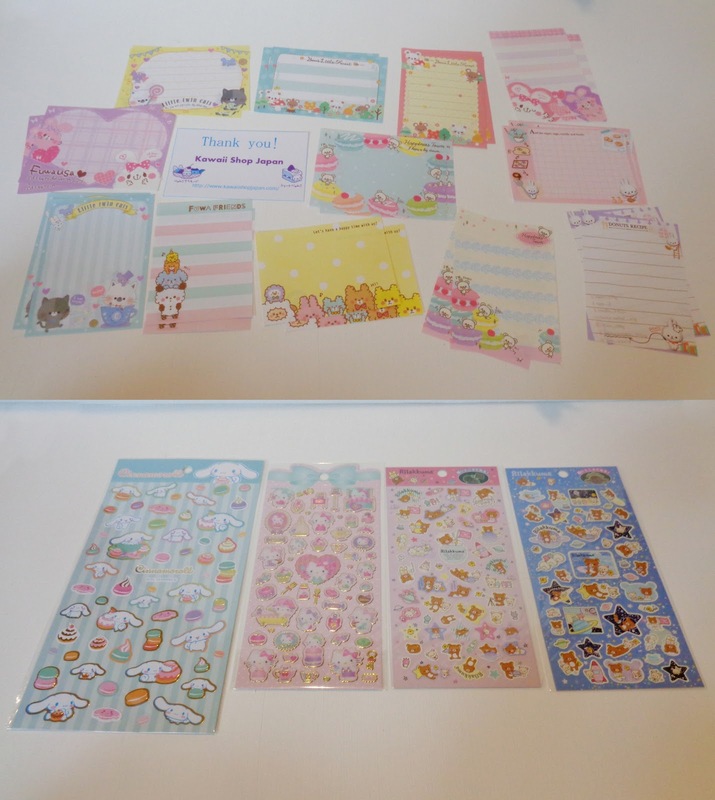 I also picked up a bunch of stationary from various shops on Rakuten and now I am fully stocked for the year. San-x ha recently brought out a strawberry series featuring Korilakkuma and I could not resist! I was also partial to the My Melody Alice in Wonderland series and ended up getting a pouch and a key-chain. And I couldn't say no to these adorable Cinnamoroll stickers and I have recently discovered the cuteness of Hummingmint so I got some stickers of her as well. 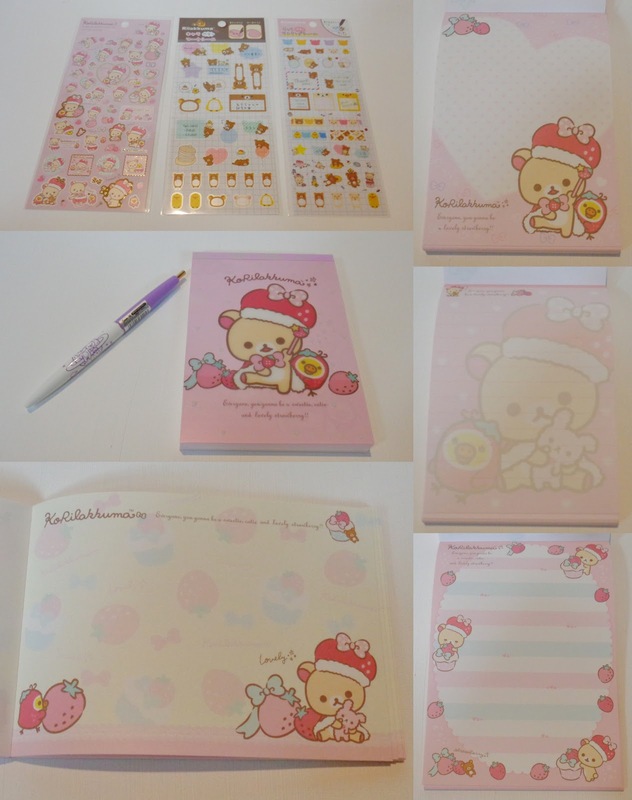 For the first time I made a purchase from Kawaii Shop Japan buying some awesome stickers and notepads. 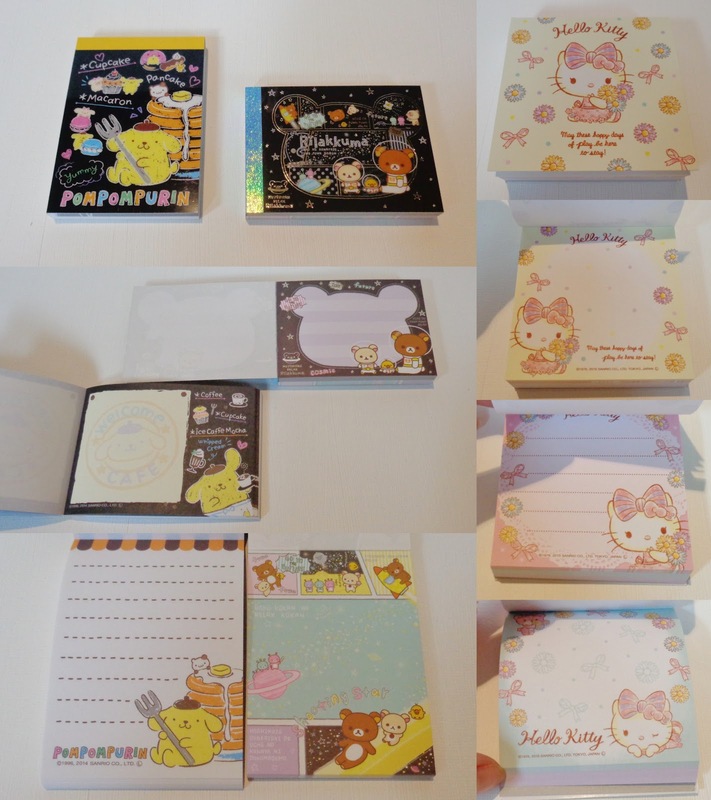 They also gave me lots of extra note papers which I gave to my nieces. I definitely recommend buying from them as they are friendly and the prices are good. Finally below I thought I would share with you how I have used some of my purchases. 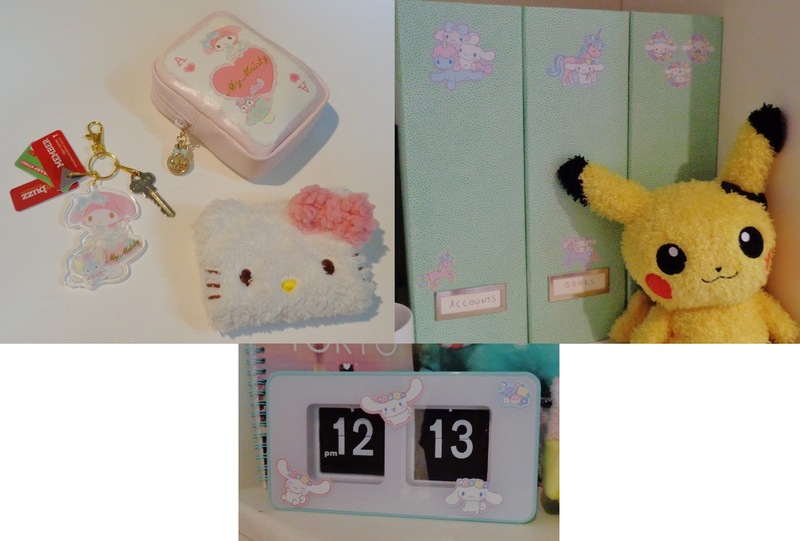 Firstly I now have a nice pink themed collection of things to go in my bag. The My Melody pouch holds essential things like lip gloss, notebook, earphones, and body butter while the Hello Kitty face (bought from The Kitty Shop) acts as my wallet. 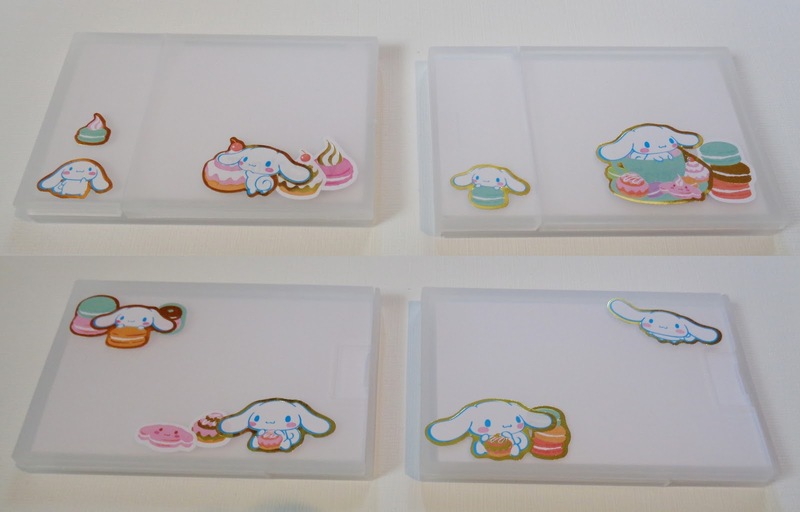 As for my Cinnamoroll stickers I used some to decorate my filing boxes and clock while others were used to decorate my business card cases.